Based on works previously developed by market researchers and practitioners, such as Louis Bachelier, Sheen Kassouf and Ed Thorp among others, Fischer Black and Myron Scholes demonstrated in the late 1960s that a dynamic revision of a portfolio removes the expected return of the security, thus inventing the risk neutral argument. In 1970, after they attempted to apply the formula to the markets and incurred financial losses due to lack of risk management in their trades, they decided to focus in their domain area, the academic environment. After three years of efforts, the formula named in honor of them for making it public, was finally published in 1973 in an article entitled "The Pricing of Options and Corporate Liabilities", in the Journal of Political Economy. Robert C. Merton was the first to publish a paper expanding the mathematical understanding of the options pricing model, and coined the term "Black–Scholes options pricing model". Merton and Scholes received the 1997 Nobel Memorial Prize in Economic Sciences for their work, the committee citing their discovery of the risk neutral dynamic revision as a breakthrough that separates the option from the risk of the underlying security. Although ineligible for the prize because of his death in 1995, Black was mentioned as a contributor by the Swedish Academy. The key idea behind the model is to hedge the option by buying and selling the underlying asset in just the right way and, as a consequence, to eliminate risk. This type of hedging is called "continuously revised delta hedging" and is the basis of more complicated hedging strategies such as those engaged in by investment banks and hedge funds. The model's assumptions have been relaxed and generalized in many directions, leading to a plethora of models that are currently used in derivative pricing and risk management. It is the insights of the model, as exemplified in the Black–Scholes formula, that are frequently used by market participants, as distinguished from the actual prices. These insights include no-arbitrage bounds and risk-neutral pricing (thanks to continuous revision). Further, the Black–Scholes equation, a partial differential equation that governs the price of the option, enables pricing using numerical methods when an explicit formula is not possible. The Black–Scholes formula has only one parameter that cannot be directly observed in the market: the average future volatility of the underlying asset, though it can be found from the price of other options. Since the option value (whether put or call) is increasing in this parameter, it can be inverted to produce a "volatility surface" that is then used to calibrate other models, e.g. for OTC derivatives. The Black–Scholes model assumes that the market consists of at least one risky asset, usually called the stock, and one riskless asset, usually called the money market, cash, or bond. (riskless rate) The rate of return on the riskless asset is constant and thus called the risk-free interest rate. (random walk) The instantaneous log return of stock price is an infinitesimal random walk with drift; more precisely, it is a geometric Brownian motion, and we will assume its drift and volatility are constant (if they are time-varying, we can deduce a suitably modified Black–Scholes formula quite simply, as long as the volatility is not random). It is possible to borrow and lend any amount, even fractional, of cash at the riskless rate. It is possible to buy and sell any amount, even fractional, of the stock (this includes short selling). The above transactions do not incur any fees or costs (i.e., frictionless market). With these assumptions holding, suppose there is a derivative security also trading in this market. We specify that this security will have a certain payoff at a specified date in the future, depending on the value(s) taken by the stock up to that date. It is a surprising fact that the derivative's price is completely determined at the current time, even though we do not know what path the stock price will take in the future. For the special case of a European call or put option, Black and Scholes showed that "it is possible to create a hedged position, consisting of a long position in the stock and a short position in the option, whose value will not depend on the price of the stock". Their dynamic hedging strategy led to a partial differential equation which governed the price of the option. Its solution is given by the Black–Scholes formula. Several of these assumptions of the original model have been removed in subsequent extensions of the model. Modern versions account for dynamic interest rates (Merton, 1976), transaction costs and taxes (Ingersoll, 1976), and dividend payout. , the value of the portfolio. The key financial insight behind the equation is that one can perfectly hedge the option by buying and selling the underlying asset in just the right way and consequently "eliminate risk". This hedge, in turn, implies that there is only one right price for the option, as returned by the Black–Scholes formula (see the next section).
. In this particular example, the strike price is set to 1. 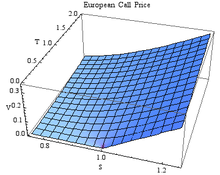 The Black–Scholes formula calculates the price of European put and call options. This price is consistent with the Black–Scholes equation as above; this follows since the formula can be obtained by solving the equation for the corresponding terminal and boundary conditions. with d+ = d1 and d− = d2 to clarify notation. and why there are two different terms. The formula can be interpreted by first decomposing a call option into the difference of two binary options: an asset-or-nothing call minus a cash-or-nothing call (long an asset-or-nothing call, short a cash-or-nothing call). A call option exchanges cash for an asset at expiry, while an asset-or-nothing call just yields the asset (with no cash in exchange) and a cash-or-nothing call just yields cash (with no asset in exchange). The Black–Scholes formula is a difference of two terms, and these two terms equal the value of the binary call options. These binary options are much less frequently traded than vanilla call options, but are easier to analyze. is the future value of a cash-or-nothing call. In risk-neutral terms, these are the expected value of the asset and the expected value of the cash in the risk-neutral measure. is more complicated, as the probability of expiring in the money and the value of the asset at expiry are not independent. More precisely, the value of the asset at expiry is variable in terms of cash, but is constant in terms of the asset itself (a fixed quantity of the asset), and thus these quantities are independent if one changes numéraire to the asset rather than cash. is correctly interpreted as the present value, using the risk-free interest rate, of the expected asset price at expiration, given that the asset price at expiration is above the exercise price. For related discussion – and graphical representation – see section "Interpretation" under Datar–Mathews method for real option valuation. The equivalent martingale probability measure is also called the risk-neutral probability measure. Note that both of these are probabilities in a measure theoretic sense, and neither of these is the true probability of expiring in-the-money under the real probability measure. To calculate the probability under the real ("physical") probability measure, additional information is required—the drift term in the physical measure, or equivalently, the market price of risk. A standard derivation for solving the Black–Scholes PDE is given in the article Black–Scholes equation. "The Greeks" measure the sensitivity of the value of a derivative or a portfolio to changes in parameter value(s) while holding the other parameters fixed. They are partial derivatives of the price with respect to the parameter values. One Greek, "gamma" (as well as others not listed here) is a partial derivative of another Greek, "delta" in this case. The Greeks are important not only in the mathematical theory of finance, but also for those actively trading. Financial institutions will typically set (risk) limit values for each of the Greeks that their traders must not exceed. Delta is the most important Greek since this usually confers the largest risk. Many traders will zero their delta at the end of the day if they are speculating and following a delta-neutral hedging approach as defined by Black–Scholes. The Greeks for Black–Scholes are given in closed form below. They can be obtained by differentiation of the Black–Scholes formula. Note that from the formulae, it is clear that the gamma is the same value for calls and puts and so too is the vega the same value for calls and put options. This can be seen directly from put–call parity, since the difference of a put and a call is a forward, which is linear in S and independent of σ (so a forward has zero gamma and zero vega). N' is the standard normal probability density function. In practice, some sensitivities are usually quoted in scaled-down terms, to match the scale of likely changes in the parameters. For example, rho is often reported divided by 10,000 (1 basis point rate change), vega by 100 (1 vol point change), and theta by 365 or 252 (1 day decay based on either calendar days or trading days per year). The above model can be extended for variable (but deterministic) rates and volatilities. The model may also be used to value European options on instruments paying dividends. In this case, closed-form solutions are available if the dividend is a known proportion of the stock price. American options and options on stocks paying a known cash dividend (in the short term, more realistic than a proportional dividend) are more difficult to value, and a choice of solution techniques is available (for example lattices and grids). For options on indices, it is reasonable to make the simplifying assumption that dividends are paid continuously, and that the dividend amount is proportional to the level of the index. It is also possible to extend the Black–Scholes framework to options on instruments paying discrete proportional dividends. This is useful when the option is struck on a single stock. is the forward price for the dividend paying stock. In general this inequality does not have a closed form solution, though an American call with no dividends is equal to a European call and the Roll-Geske-Whaley method provides a solution for an American call with one dividend; see also Black's approximation. , such that one is indifferent between early exercise and holding to maturity. , otherwise the option "boils down to: (i) a European up-and-out call option… and (ii) a rebate that is received at the knock-out date if the option is knocked out prior to the maturity date". The formula is readily modified for the valuation of a put option, using put–call parity. This approximation is computationally inexpensive and the method is fast, with evidence indicating that the approximation may be more accurate in pricing long dated options than Barone-Adesi and Whaley. By solving the Black–Scholes differential equation, with for boundary condition the Heaviside function, we end up with the pricing of options that pay one unit above some predefined strike price and nothing below. , the domestic interest rate, and the rest as above, we get the following results. where volatility depends on strike price, thus incorporating the volatility skew into account. The skew matters because it affects the binary considerably more than the regular options. is sometimes called the "skew slope" or just "skew". If the skew is typically negative, the value of a binary call will be higher when taking skew into account. 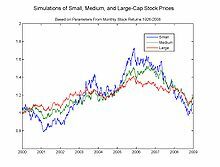 The normality assumption of the Black–Scholes model does not capture extreme movements such as stock market crashes. the assumption of continuous time and continuous trading, yielding gap risk, which can be hedged with Gamma hedging. In short, while in the Black–Scholes model one can perfectly hedge options by simply Delta hedging, in practice there are many other sources of risk. Results using the Black–Scholes model differ from real world prices because of simplifying assumptions of the model. One significant limitation is that in reality security prices do not follow a strict stationary log-normal process, nor is the risk-free interest actually known (and is not constant over time). The variance has been observed to be non-constant leading to models such as GARCH to model volatility changes. Pricing discrepancies between empirical and the Black–Scholes model have long been observed in options that are far out-of-the-money, corresponding to extreme price changes; such events would be very rare if returns were lognormally distributed, but are observed much more often in practice. reversible, as the model's original output, price, can be used as an input and one of the other variables solved for; the implied volatility calculated in this way is often used to quote option prices (that is, as a quoting convention). Useful approximation: although volatility is not constant, results from the model are often helpful in setting up hedges in the correct proportions to minimize risk. Even when the results are not completely accurate, they serve as a first approximation to which adjustments can be made. Basis for more refined models: The Black–Scholes model is robust in that it can be adjusted to deal with some of its failures. Rather than considering some parameters (such as volatility or interest rates) as constant, one considers them as variables, and thus added sources of risk. This is reflected in the Greeks (the change in option value for a change in these parameters, or equivalently the partial derivatives with respect to these variables), and hedging these Greeks mitigates the risk caused by the non-constant nature of these parameters. Other defects cannot be mitigated by modifying the model, however, notably tail risk and liquidity risk, and these are instead managed outside the model, chiefly by minimizing these risks and by stress testing. Explicit modeling: this feature means that, rather than assuming a volatility a priori and computing prices from it, one can use the model to solve for volatility, which gives the implied volatility of an option at given prices, durations and exercise prices. Solving for volatility over a given set of durations and strike prices, one can construct an implied volatility surface. In this application of the Black–Scholes model, a coordinate transformation from the price domain to the volatility domain is obtained. Rather than quoting option prices in terms of dollars per unit (which are hard to compare across strikes, durations and coupon frequencies), option prices can thus be quoted in terms of implied volatility, which leads to trading of volatility in option markets. One of the attractive features of the Black–Scholes model is that the parameters in the model other than the volatility (the time to maturity, the strike, the risk-free interest rate, and the current underlying price) are unequivocally observable. All other things being equal, an option's theoretical value is a monotonic increasing function of implied volatility. By computing the implied volatility for traded options with different strikes and maturities, the Black–Scholes model can be tested. If the Black–Scholes model held, then the implied volatility for a particular stock would be the same for all strikes and maturities. In practice, the volatility surface (the 3D graph of implied volatility against strike and maturity) is not flat. The typical shape of the implied volatility curve for a given maturity depends on the underlying instrument. Equities tend to have skewed curves: compared to at-the-money, implied volatility is substantially higher for low strikes, and slightly lower for high strikes. Currencies tend to have more symmetrical curves, with implied volatility lowest at-the-money, and higher volatilities in both wings. Commodities often have the reverse behavior to equities, with higher implied volatility for higher strikes. Despite the existence of the volatility smile (and the violation of all the other assumptions of the Black–Scholes model), the Black–Scholes PDE and Black–Scholes formula are still used extensively in practice. A typical approach is to regard the volatility surface as a fact about the market, and use an implied volatility from it in a Black–Scholes valuation model. This has been described as using "the wrong number in the wrong formula to get the right price". This approach also gives usable values for the hedge ratios (the Greeks). Even when more advanced models are used, traders prefer to think in terms of Black–Scholes implied volatility as it allows them to evaluate and compare options of different maturities, strikes, and so on. For a discussion as to the various alternative approaches developed here, see Financial economics § Challenges and criticism. Black–Scholes cannot be applied directly to bond securities because of pull-to-par. As the bond reaches its maturity date, all of the prices involved with the bond become known, thereby decreasing its volatility, and the simple Black–Scholes model does not reflect this process. A large number of extensions to Black–Scholes, beginning with the Black model, have been used to deal with this phenomenon. See Bond option: Valuation. In practice, interest rates are not constant – they vary by tenor (coupon frequency), giving an interest rate curve which may be interpolated to pick an appropriate rate to use in the Black–Scholes formula. Another consideration is that interest rates vary over time. This volatility may make a significant contribution to the price, especially of long-dated options.This is simply like the interest rate and bond price relationship which is inversely related. It is not free to take a short stock position. Similarly, it may be possible to lend out a long stock position for a small fee. In either case, this can be treated as a continuous dividend for the purposes of a Black–Scholes valuation, provided that there is no glaring asymmetry between the short stock borrowing cost and the long stock lending income. Espen Gaarder Haug and Nassim Nicholas Taleb argue that the Black–Scholes model merely recasts existing widely used models in terms of practically impossible "dynamic hedging" rather than "risk", to make them more compatible with mainstream neoclassical economic theory. They also assert that Boness in 1964 had already published a formula that is "actually identical" to the Black–Scholes call option pricing equation. Edward Thorp also claims to have guessed the Black–Scholes formula in 1967 but kept it to himself to make money for his investors. Emanuel Derman and Nassim Taleb have also criticized dynamic hedging and state that a number of researchers had put forth similar models prior to Black and Scholes. In response, Paul Wilmott has defended the model. British mathematician Ian Stewart published a criticism in which he suggested that "the equation itself wasn't the real problem" and he stated a possible role as "one ingredient in a rich stew of financial irresponsibility, political ineptitude, perverse incentives and lax regulation" due to its abuse in the financial industry. In his 2008 letter to the shareholders of Berkshire Hathaway, Warren Buffett wrote: "I believe the Black–Scholes formula, even though it is the standard for establishing the dollar liability for options, produces strange results when the long-term variety are being valued... The Black–Scholes formula has approached the status of holy writ in finance ... If the formula is applied to extended time periods, however, it can produce absurd results. In fairness, Black and Scholes almost certainly understood this point well. But their devoted followers may be ignoring whatever caveats the two men attached when they first unveiled the formula." ^ Although the original model assumed no dividends, trivial extensions to the model can accommodate a continuous dividend yield factor. ^ "Scholes on merriam-webster.com". Retrieved March 26, 2012. ^ MacKenzie, Donald (2006). An Engine, Not a Camera: How Financial Models Shape Markets. Cambridge, MA: MIT Press. ISBN 0-262-13460-8. ^ a b Bodie, Zvi; Alex Kane; Alan J. Marcus (2008). Investments (7th ed.). New York: McGraw-Hill/Irwin. ISBN 978-0-07-326967-2. ^ Taleb, 1997. pp. 91 and 110–111. ^ Mandelbrot & Hudson, 2006. pp. 9–10. ^ Mandelbrot & Hudson, 2006. pp. 72–75. ^ Derman, 2004. pp. 143–147. ^ Thorp, 2017. pp. 183–189. ^ "Nobel Prize Foundation, 1997" (Press release). October 14, 1997. Retrieved March 26, 2012. ^ Black, Fischer; Scholes, Myron. "The Pricing of Options and Corporate Liabilities". Journal of Political Economy. 81 (3): 637–654. doi:10.1086/260062. ^ Merton, Robert. "Theory of Rational Option Pricing". Bell Journal of Economics and Management Science. 4 (1): 141–183. doi:10.2307/3003143. ^ a b c d e Nielsen, Lars Tyge (1993). "Understanding N(d1) and N(d2): Risk-Adjusted Probabilities in the Black–Scholes Model" (PDF). Revue Finance (Journal of the French Finance Association). 14 (1): 95–106. Retrieved Dec 8, 2012, earlier circulated as INSEAD Working Paper 92/71/FIN (1992); abstract and link to article, published article. ^ Don Chance (June 3, 2011). "Derivation and Interpretation of the Black–Scholes Model" (PDF). Retrieved March 27, 2012. ^ Hull, John C. (2008). Options, Futures and Other Derivatives (7th ed.). Prentice Hall. ISBN 0-13-505283-1. ^ Although with significant algebra; see, for example, Hong-Yi Chen, Cheng-Few Lee and Weikang Shih (2010). Derivations and Applications of Greek Letters: Review and Integration, Handbook of Quantitative Finance and Risk Management, III:491–503. ^ "Extending the Black Scholes formula". finance.bi.no. October 22, 2003. Retrieved July 21, 2017. ^ André Jaun. "The Black–Scholes equation for American options". Retrieved May 5, 2012. ^ Bernt Ødegaard (2003). "Extending the Black Scholes formula". Retrieved May 5, 2012. ^ Don Chance (2008). "Closed-Form American Call Option Pricing: Roll-Geske-Whaley" (PDF). Retrieved May 16, 2012. ^ Giovanni Barone-Adesi & Robert E Whaley (June 1987). "Efficient analytic approximation of American option values". Journal of Finance. 42 (2): 301–20. doi:10.2307/2328254. ^ Bernt Ødegaard (2003). "A quadratic approximation to American prices due to Barone-Adesi and Whaley". Retrieved June 25, 2012. ^ Don Chance (2008). "Approximation Of American Option Values: Barone-Adesi-Whaley" (PDF). Retrieved June 25, 2012. ^ Hull, John C. (2005). Options, Futures and Other Derivatives. Prentice Hall. ISBN 0-13-149908-4. ^ Breeden, D. T., & Litzenberger, R. H. (1978). Prices of state-contingent claims implicit in option prices. Journal of business, 621-651. ^ Gatheral, J. (2006). The volatility surface: a practitioner's guide (Vol. 357). John Wiley & Sons. ^ Riccardo Rebonato (1999). Volatility and correlation in the pricing of equity, FX and interest-rate options. Wiley. ISBN 0-471-89998-4. ^ Kalotay, Andrew (November 1995). "The Problem with Black, Scholes et al" (PDF). Derivatives Strategy. ^ Boness, A James, 1964, Elements of a theory of stock-option value, Journal of Political Economy, 72, 163–175. ^ See also: Doriana Ruffinno and Jonathan Treussard (2006). Derman and Taleb's The Illusions of Dynamic Replication: A Comment, WP2006-019, Boston University - Department of Economics. ^ Ian Stewart (2012) The mathematical equation that caused the banks to crash, The Observer, February 12. Hull, John C. (1997). Options, Futures, and Other Derivatives. Prentice Hall. ISBN 0-13-601589-1. Bernstein, Peter (1992). 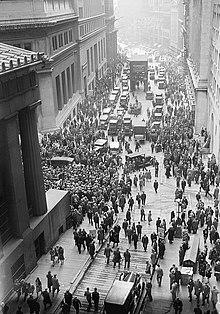 Capital Ideas: The Improbable Origins of Modern Wall Street. The Free Press. ISBN 0-02-903012-9. MacKenzie, Donald (2006). An Engine, not a Camera: How Financial Models Shape Markets. MIT Press. ISBN 0-262-13460-8. Szpiro, George G., Pricing the Future: Finance, Physics, and the 300-Year Journey to the Black–Scholes Equation; A Story of Genius and Discovery (New York: Basic, 2011) 298 pp. Haug, E. G (2007). "Option Pricing and Hedging from Theory to Practice". Derivatives: Models on Models. Wiley. ISBN 978-0-470-01322-9. The book gives a series of historical references supporting the theory that option traders use much more robust hedging and pricing principles than the Black, Scholes and Merton model. Triana, Pablo (2009). Lecturing Birds on Flying: Can Mathematical Theories Destroy the Financial Markets?. Wiley. ISBN 978-0-470-40675-5. The book takes a critical look at the Black, Scholes and Merton model. Step-by-step solution of the Black–Scholes PDE, planetmath.org. The Black–Scholes Equation Expository article by mathematician Terence Tao. Trillion Dollar Bet—Companion Web site to a Nova episode originally broadcast on February 8, 2000. "The film tells the fascinating story of the invention of the Black–Scholes Formula, a mathematical Holy Grail that forever altered the world of finance and earned its creators the 1997 Nobel Prize in Economics."